A quick and inconclusive ‘heads up’ about a recent experience we had painting Boral TruExterior® composite trim. 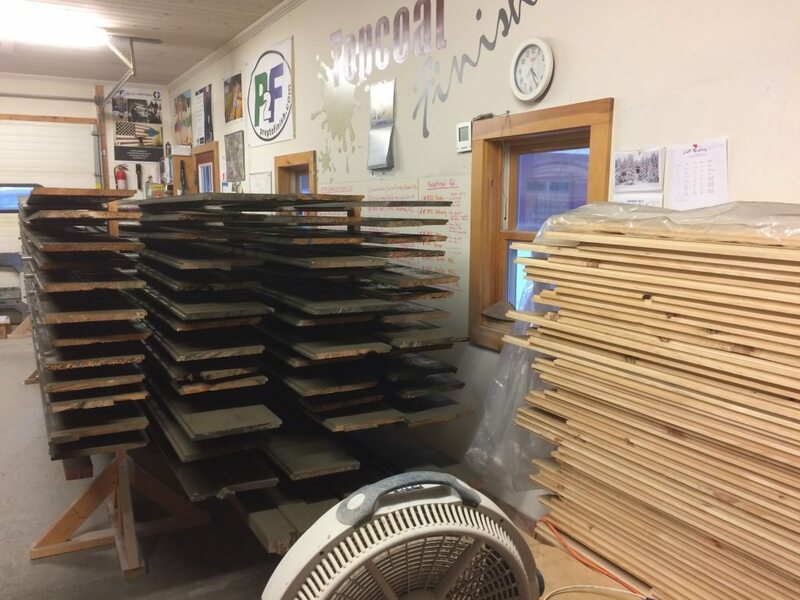 We have been sharing in our Facebook Spray Group the progress on a large pre-finishing project, with about 6000 lf of 1×12 pine shiplap siding for a new barn build by a local custom builder. The siding stain is Sherwin Williams Woodscapes custom mixed to a dark brown color from Benjamin Moore. Some of the pine siding we sprayed before the Boral. We painted the trim package last…a mix of 1×8 fascia stock and custom moldings – in a variety of building materials. The 1×8 is Boral TruExterior® trim which is a fairly new synthetic/composite product made of “poly-ash”…a mix of bio polymers and fly ash. Fly ash is a by product of coal combustion that is filtered out and collected. Not an easy hazardous waste to dispose of legally, it has become a (we guess) “green building alternative”. A recycling, ‘keep it out of the landfills’ concept if you will. Fly ash is also commonly used in concrete construction. What Happened when we started Painting Boral? We approached the trim package with the same sprayer set up as the siding: Graco 395 Finish Pro II air assisted airless with fine finish low pressure tips. We changed product…moving to Benjamin Moore Regal Select High Build soft gloss for the trim package, in the same color as the siding batch. Regal Select is a good product that is compatible with most everything. Boral is shipped from the manufacturer with a “factory applied primer” that seems to be well done and good product. We were spraying the paint on the faces and edges, and that is when we saw micro bubbles forming. There are many variables that can cause micro bubbles, so we quickly experimented with our sprayer air and fluid pressure settings and double checked the Boral for cleanliness, etc. And took a look at our shop climate. No red flags in the variables…and our finish had bubbles that we couldn’t stop. We had six 16′ boards wet and all showing the same problem. So, we tried back rolling with velour minis and back brushing, but the bubbles would only flatten out and then resurface. The Boral seemed to stay wet forever on the drying racks. Some of the bubbles laid down and left dimples in their wake as the paint tacked up. We proceeded, knowing the worst case scenario would be buffing out bubbles later. The rest of the package was synthetic PVC type of trim items, which took the paint fine. As did the pine moldings. This may just be what happens when you paint a porous substrate that your product can’t penetrate. Odd circumstance. Bubbles that did not lay down could be wiped off the surface by hand the next day. The paint was well adhered and intact. Any subtle depressions from the bursted bubbles are mostly lost in the fake wood grain of the Boral and the color of the paint. The micro-bubbling was unique to the Boral. It took paint differently than the thousands of feet of pine siding, the PVC trim items and the pine molding details. According to the Boral website FAQ’s, the product “absorbs virtually no moisture”. We suspect that this (and the unknown primer coating that the product ships with), caused the sprayed paint coat to sit wet for longer than usual with no absorption at the substrate. That is fine from a paint performance standpoint. Latex paints don’t need to penetrate, they need to adhere. Performance will be normal, but the application made for an awkward few moments in the spray shop. 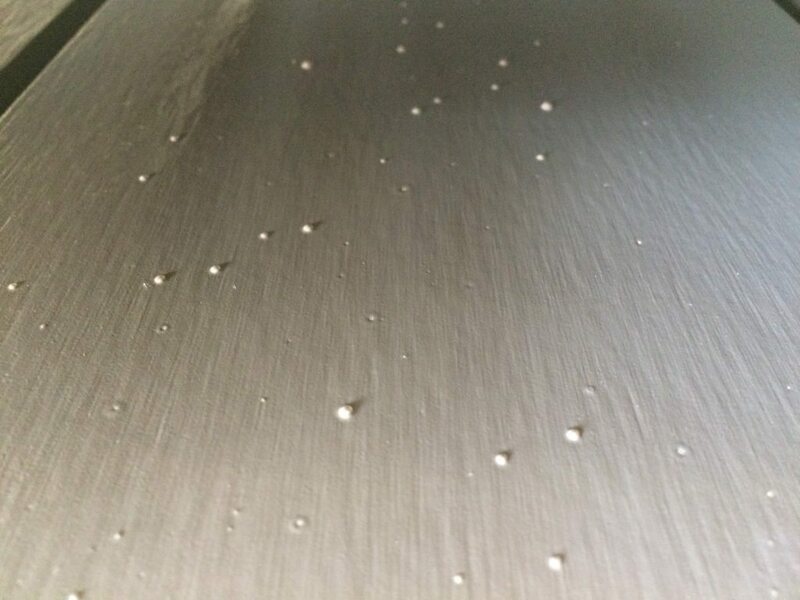 Just something to be aware of if you are painting boral…you may see bubbles in the finish during a sprayed application. We’d be curious to know if rollers and brushes cause it too. A final tip for painting Boral is that the product is quite heavy and also flimsy like PVC. It doesn’t lay flat like solid wood, so handling the product definitely requires two people. Do you have any experiences to share about painting Boral? I too used Boral siding and trim boards on my home in Beaufort SC. While I loved the product, and the many features it provides, I had the same problem when painting it. I spent perhaps $50,000 dollars on boral for my home, not including installation. Painting it with an airless sprayer we encountered the same bubbles. It’s quite evident with the naked eye. I called the company and finally got in touch with Shawn, their warranty person. Well, long story short, he gave me the Harvard excuse. It’s not their issue, we did something wrong. It clearly has a gaseous issue as the paint is applied. The bubbles just develop after the paint is applied. Very few of them pop however. They just blow up and stay there through the drying process. He blamed the paint, which was Sherwin Williams Emerald. It wasn’t the paint, as it didn’t do this same thing on any wood or Azek. No, just the boral. They claim to have never heard of this issue, so I directed them to this article, and they said……Ok, now just this one, and you. No one else has ever had the issue. I don’t believe it at all. It’s something in the boral siding or primer that gasses off as you spray, and it creates bubbles in the paint. I’ll have to pole sand them down, and repaint. It isn’t difficult to fix, but if you’re doing this for a customer, neither you or the customer is going to be happy, and boral isn’t going to get involved in figuring it out. My distributor has been told of the problem, and came to see it and take pictures. They don’t want to be held accountable for product they sell. They also told me boral has suspended production of the beveled siding, perhaps this is why. Would I use the product again, yes, but I would be aware of the fact spraying the siding will cause bubbles that will need to be fixed. We are about to install Boral trim and Boral Bevel siding. Will they require or recommend to have single coat of paint or two coats? Generally, it comes primed and it is your prerogative on how to proceed. 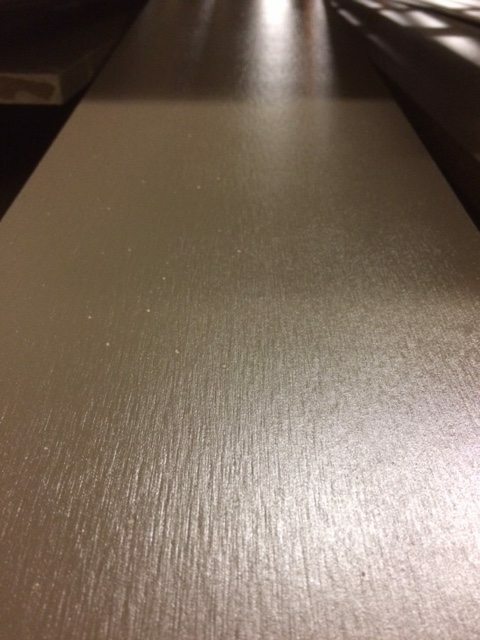 We apply one coat pre-instal and then a field coat after. How do you think boral clapboards will hold up with just factory primer over winter. I have not heard back from boral yet with same question . It won’t rot, but the primer will lose it’s tooth for topcoats. I just did a little over 1100Lf with Benjamin Moore Arbor Coat. I used 7″ rollers with 3/8″ Nap. I did not have any of the issues with the bubbles. This was using 5/4 x 6 and 1 x 4. So just to recap what is the diffinative cause of the bubbles? The primer absorbed water or some other contamination? Haven’t used boral yet but know plenty who do. Main concern thus far is dust when cutting or milling. Tommy, our theory is that the Boral is porous, but it was totally sealed by the factory applied primer. The sprayed application of BM to mfr speced mil thickness just hit the primer and sat. Whatever happens when atomized acyrlic hits and sits on sealed polymer fly ash…happened. Being air assisted with low pressure fine finish tips, it was odd. All we can say is that the bubbles were a function of the substrate, and theorize as to why, but in the exact same room and timeframe it didn’t happen on wood or pvc. Thanks for the heads-up Scott. Curious indeed. By pics alone, I would’ve guessed solvent entrapment. Although I think I understand your position is the antithesis, just for fun, did you do any moisture tests, and if so, what were the readings? Do you think the issue could’ve been minimized or even eliminated by applying multiple light coats, (substantially lighter than manufacturer’s specs) ? What, (if anything), can we do to insure this doesn’t happen in the future? Just trying to wrap my head around it. Hey Troy, thanks for stopping by. We didn’t do a moisture test, because composite products are pretty much impervious to it. We did do a quick mil thickness check, and we were within BM spec for RS. I do think multiple light coats would have minimized it, but it might have been so thin and light that we’d have ended up better off brushing or rolling. That is probably where I would start though. The trick is that the edges of this stuff are very porous and difficult to cover compared to the faces, so there is a difference there. Manual application might just be the best way.